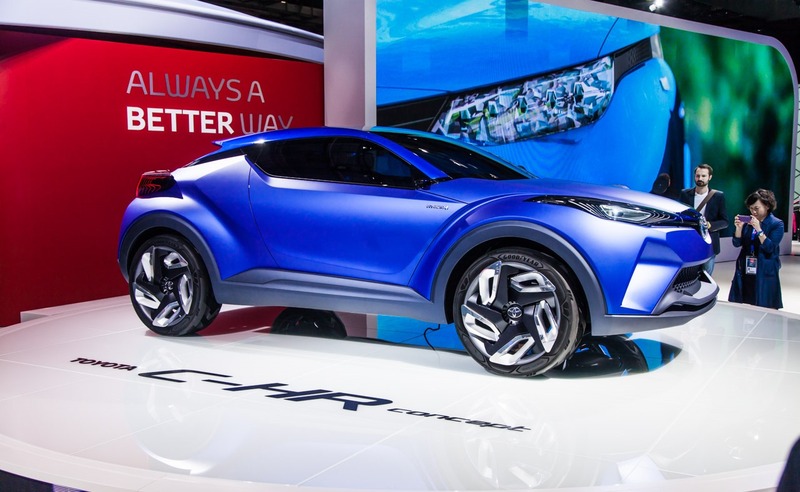 Η Toyota στο Παρίσι παρουσιάζει το C-HR Concept, το πρωτότυπο crossover της Ιαπωνικής φίρμας που “συνδυάζει μία νέα, δυναμική σχεδιαστική γλώσσα, με μία εξαιρετική οδηγική εμπειρία και υβριδικό powertrain”. Ο σχεδιασμός του μπροστά μέρους μας δείχνει το πως θα μοιάζουν τα μελλοντικά αυτοκίνητα της Toyota, με την έκδοση παραγωγής του να είναι ένα compact crossover που τοποθετείται κάτω από το RAV4 ενώ ίσως υπάρξει και κάποια σύνδεση με το όνομα “Auris” (βλ. Auris Cross ή κάτι παρόμοιο). Ο σχεδιασμός του αντλεί στοιχεία από το GT86, έχει μήκος 4.350 mm, πλάτος 1.850 mm, ύψος 1.500 mm και μεταξόνιο 2.640 mm. 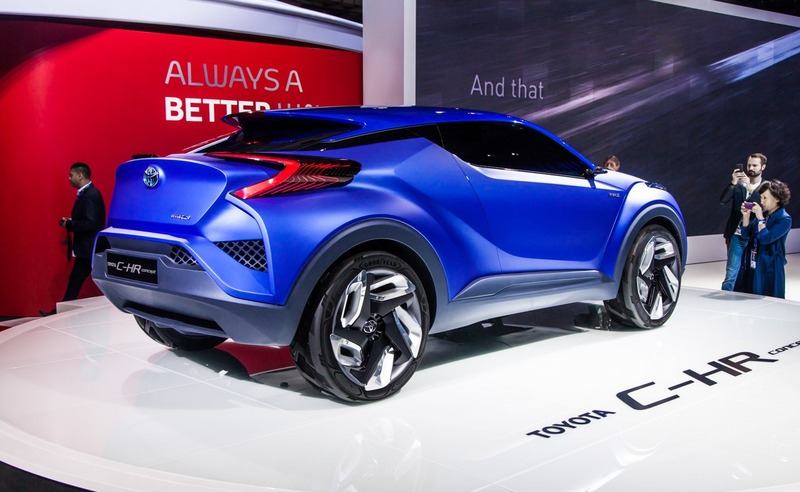 Σύμφωνα με την Toyota το αυτοκίνητο έχει χαμηλό κέντρο βάρους και αυξημένη δομική ακαμψία, δύο χαρακτηριστικά που συμβάλλουν στη βελτίωση της δυναμικής οδήγησης. 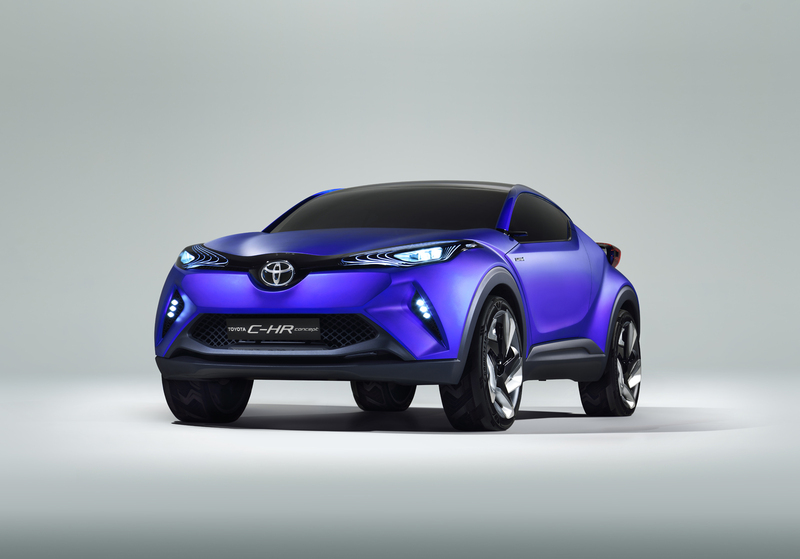 The Toyota C-HR Concept will make its world debut at the Paris motor show, giving the first hint of a type of crossover vehicle Toyota would like to bring to market. 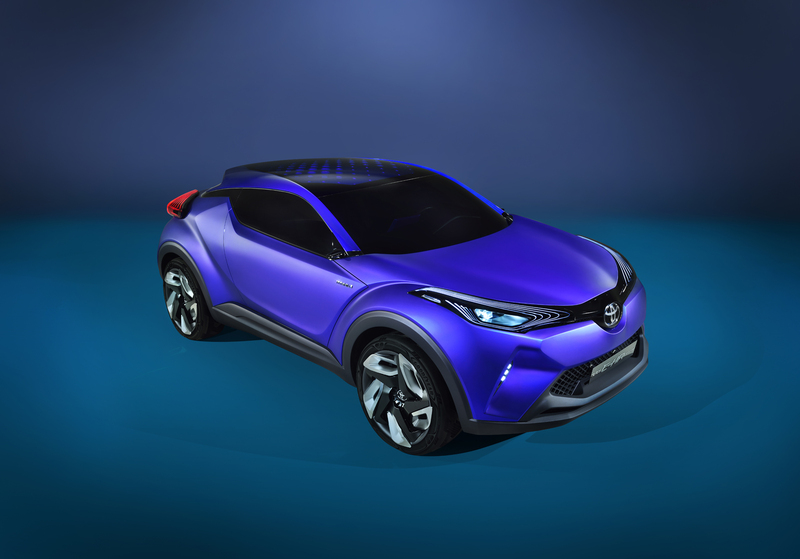 The concept combines a new, dynamic design language with an agile and engaging drive to create a new proposition for the demanding European car market. 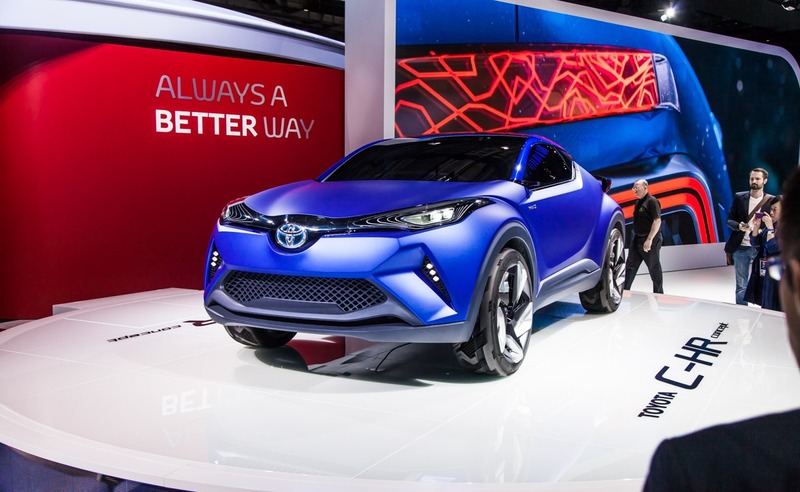 Toyota has a long-established reputation for innovation in landmark vehicles such as RAV4, Prius and GT86. 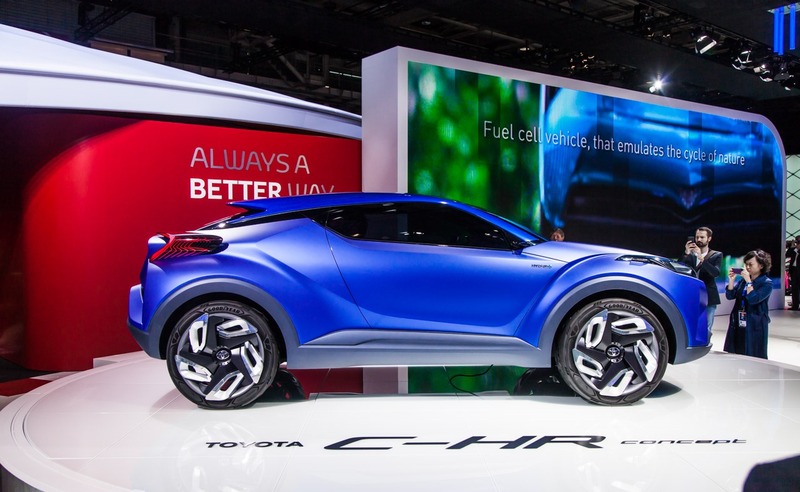 The C-HR Concept represents a synthesis of 20 years of Toyota creativity. 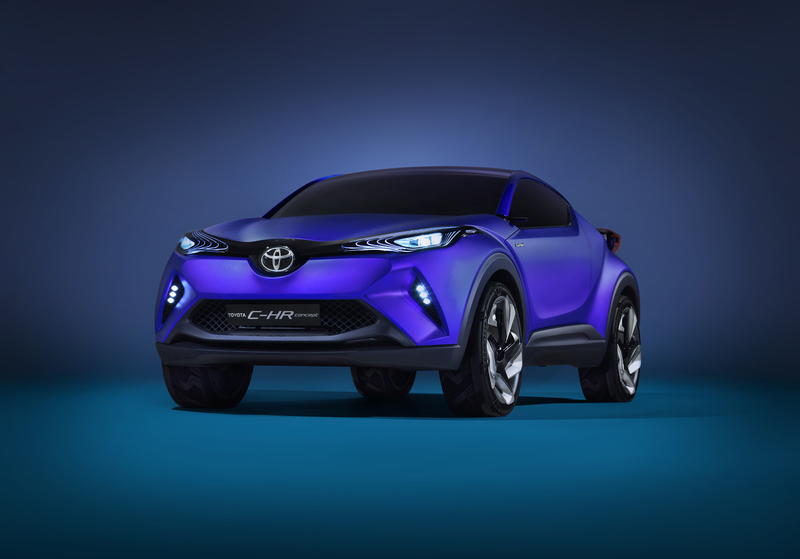 It recaptures the design and packaging ingenuity that produced the original RAV4, introduces the next generation of the sophisticated full hybrid technology that was first realised in Prius, and, inspired by the GT86, targets new levels of dynamism and agility. 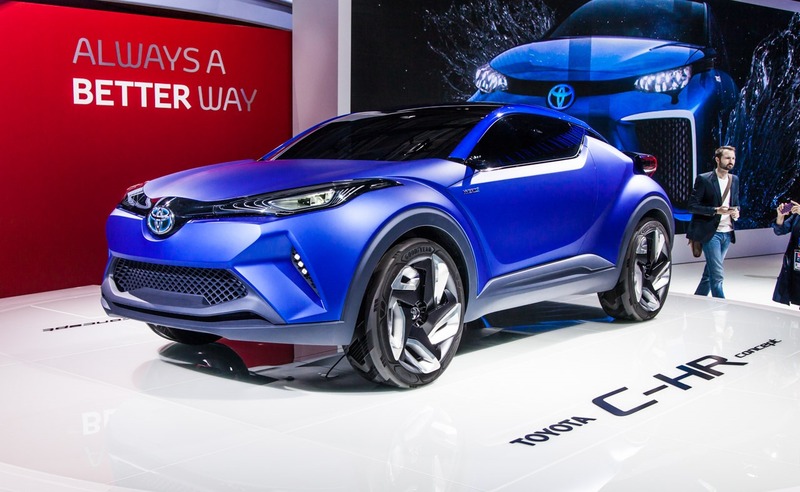 It is an innovative design study for a stylish, lightweight C-segment crossover that will stand out in an increasingly homogenous market, and is the next physical expression of the promise Akio Toyoda made when became Toyota President to build cars with stronger emotional qualities that will make their owners fall in love with driving again. 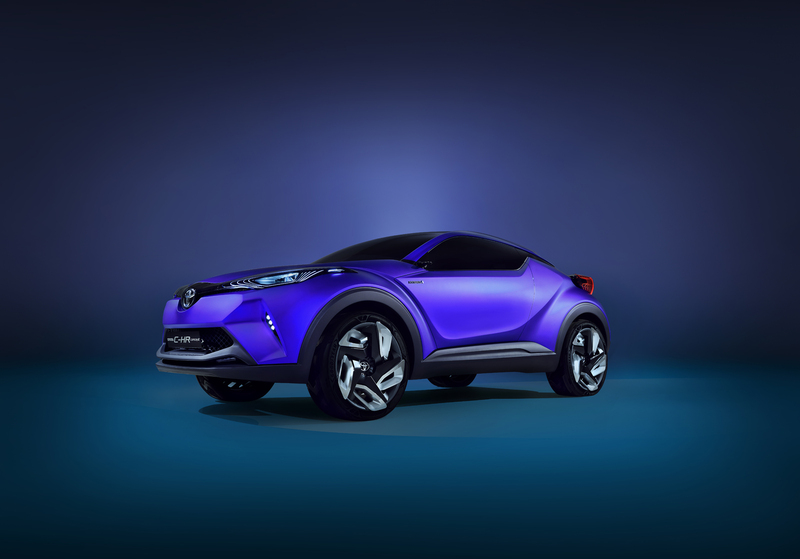 The C-HR Concept has the essential combination of compact packaging and agility required by customers with active, urban lifestyles. 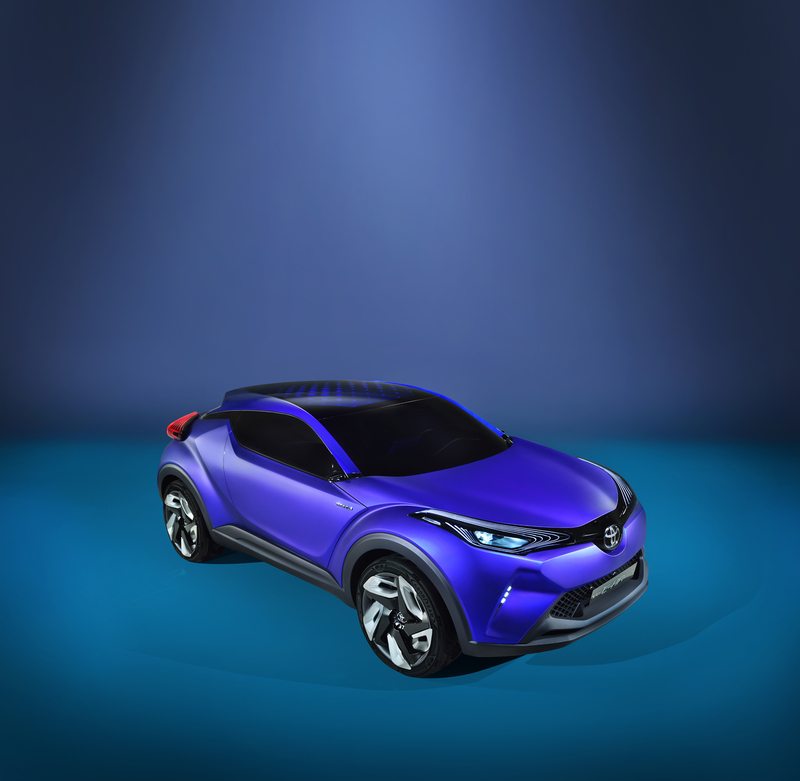 It has been conceived around a new vehicle platform design to satisfy customer demand for excellent handling and control. A new, advanced full hybrid powertrain delivers an engaging driving experience that can deal with 21st century traffic conditions and deliver outstanding efficiency. 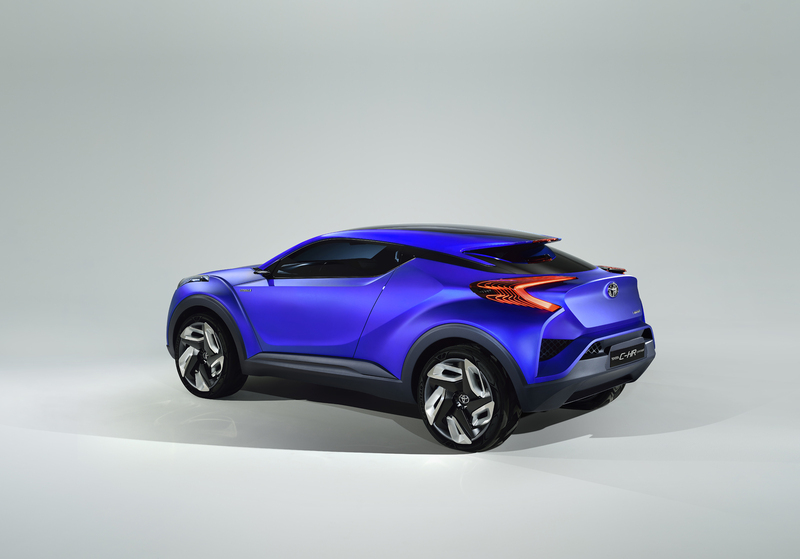 New vehicle architecture The C-HR Concept introduces a new Toyota vehicle architecture. 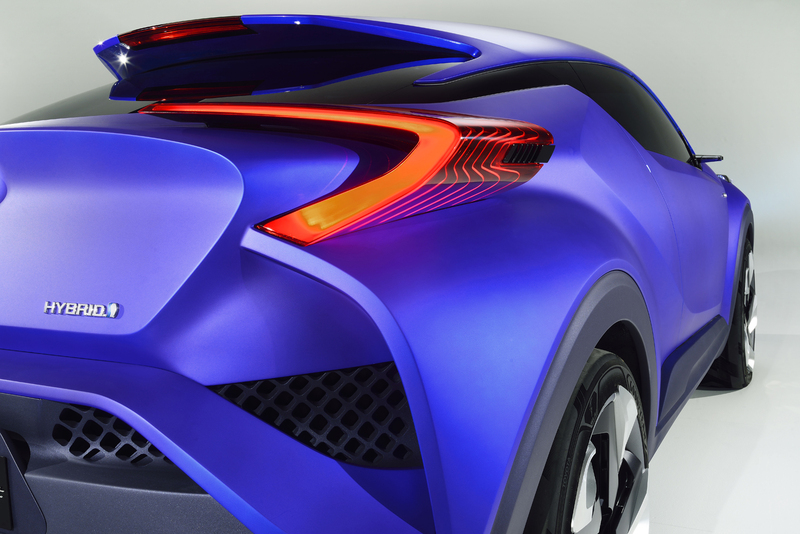 The sculpted lower bodywork presents a precision-cut, faceted look, while the corners of the bodyshell have been cleanly shaved off, reducing overall mass and emphasising the powerful flaring of the wheel arches. 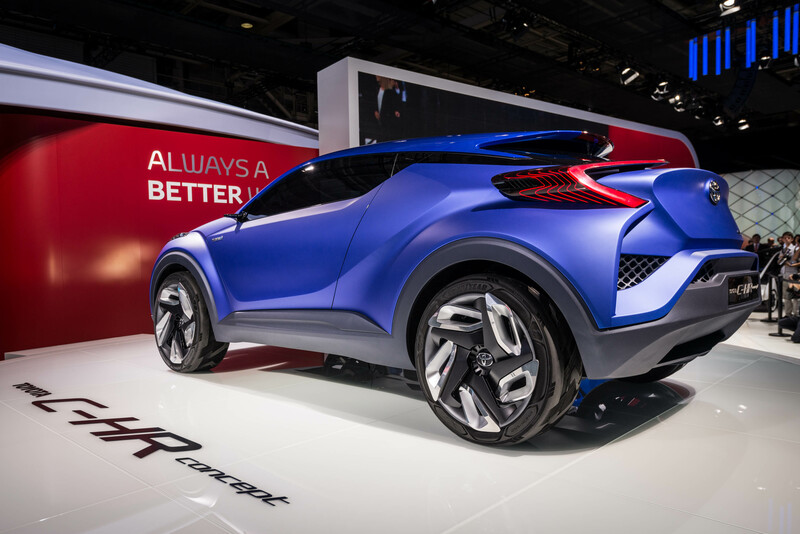 Viewed from every angle, the crossover concept has a broad, planted stance. 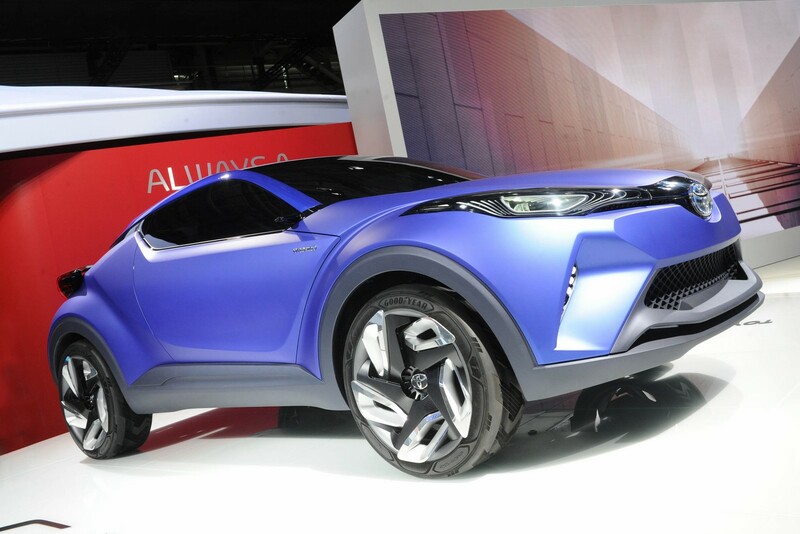 The frontal styling displays a further development of Toyota’s current style language, but with new themes that hint at a future design direction. 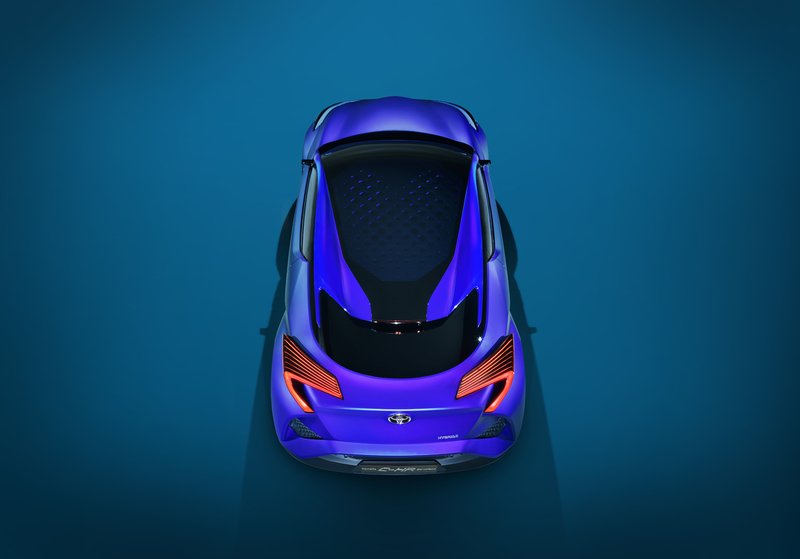 The slim upper grille design has evolved in to a floating ‘wing’ graphic that flows seamlessly around the front corners of the vehicle to the apex of each wing. Within this wing shape, the headlamps feature strong detailing, including a high-tech, 3D treatment of the daytime running lights. 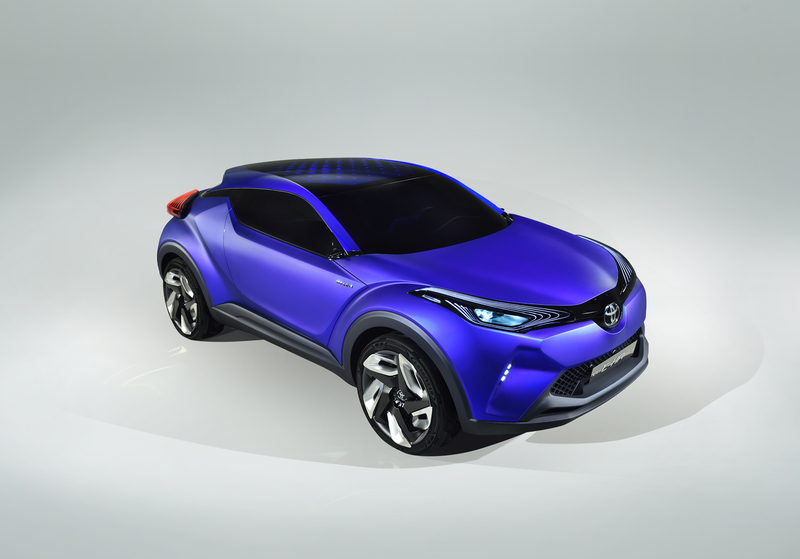 Adding emphasis to the corners of the vehicle further reinforces the vehicle’s solid look. 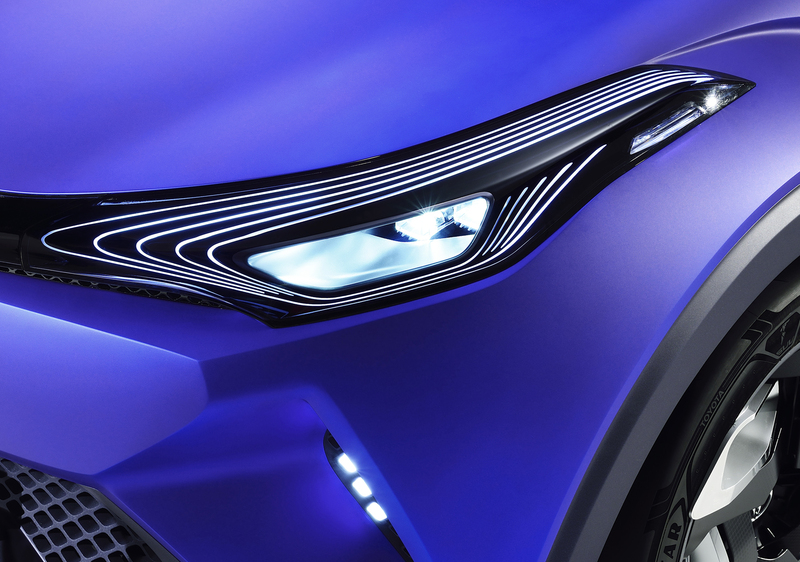 The large lower grille is flanked by strongly sculpted downward projections, underscored by a floating front spoiler. 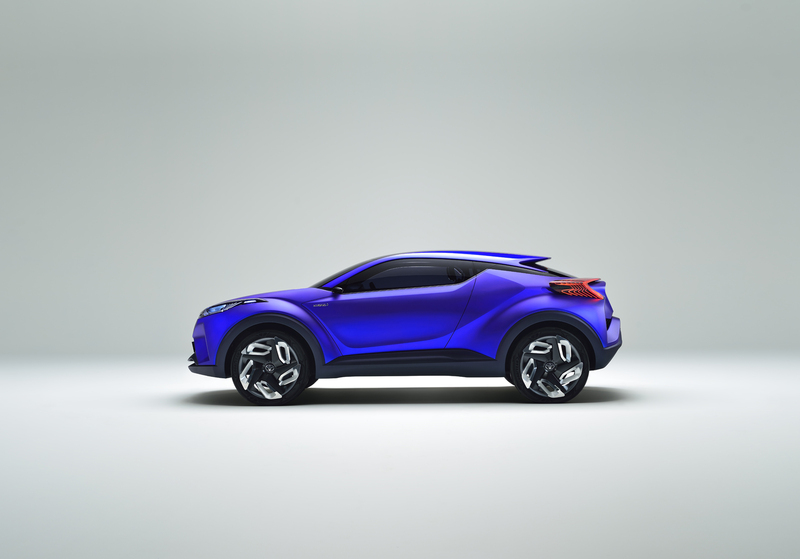 The faceted lower body, muscular wheel arches and angular rear shoulders are juxtaposed with a sleek cabin profile. The glasshouse is emphasised by a sweeping, uninterrupted extension of the side glazing into the rear screen. 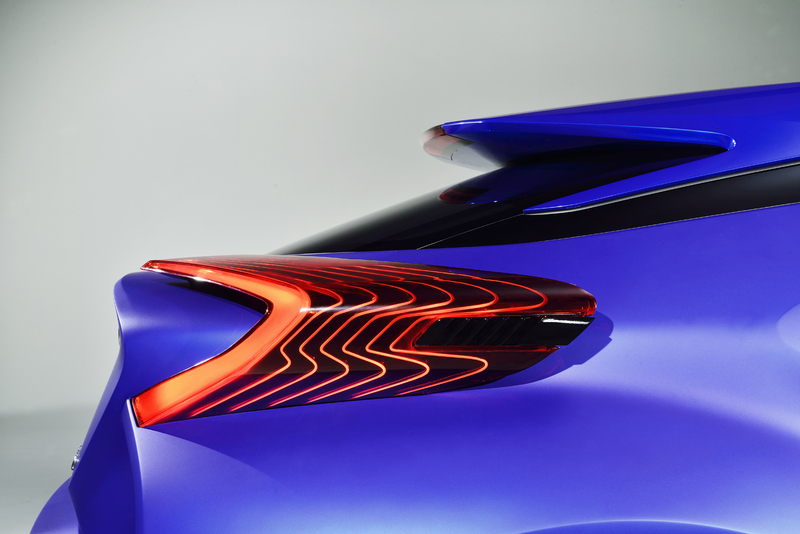 This creates a slim, floating roofline, tipped with a spoiler. 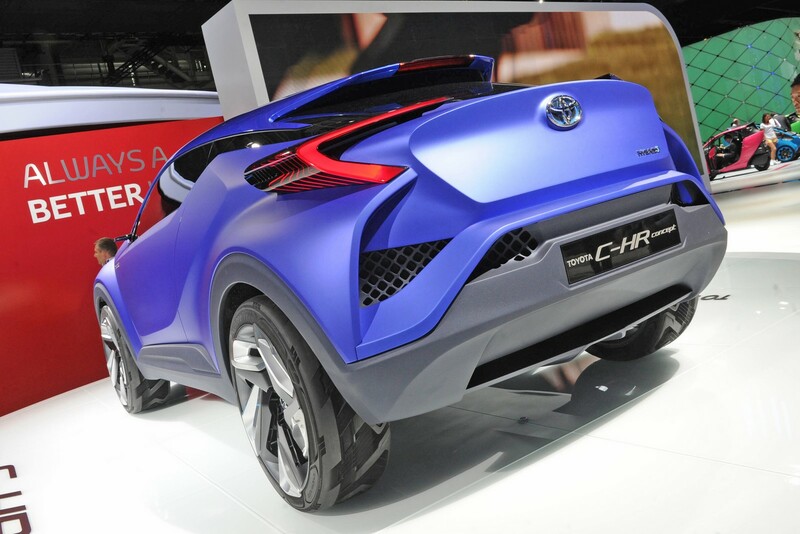 Its length is exaggerated by residual C-pillars which taper to needle points either side of the rear screen. The floating roof has patterned openings that create a lively play of light in the cabin. Seen from the rear, the sharply tapering glasshouse emphasises the car’s broad, planted appearance. 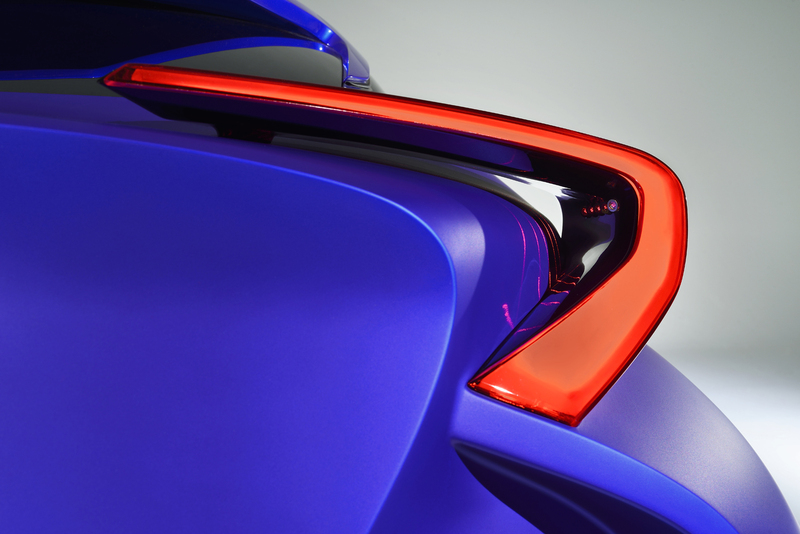 The rear end displays the same faceted treatment and corner detailing as the front of the vehicle, together with distinctive, aero-inspired floating light clusters. 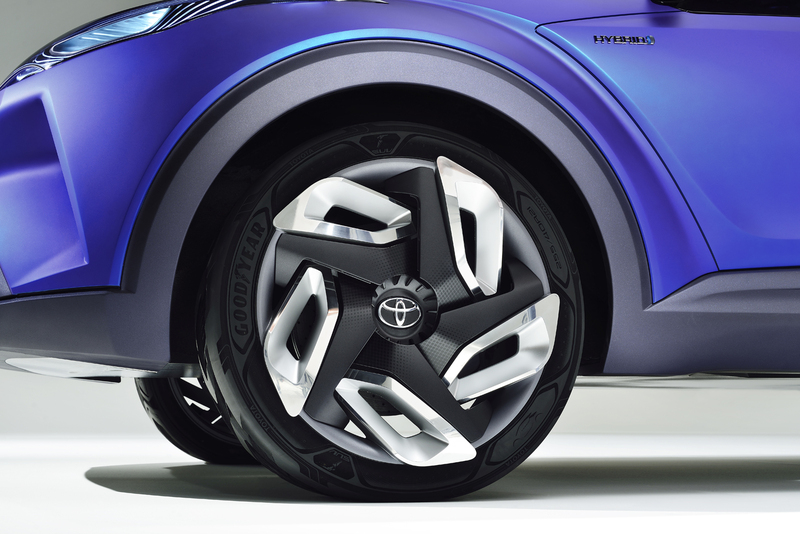 A dedicated wheel design reinforces the concept’s crossover credentials, with blade-style spokes. 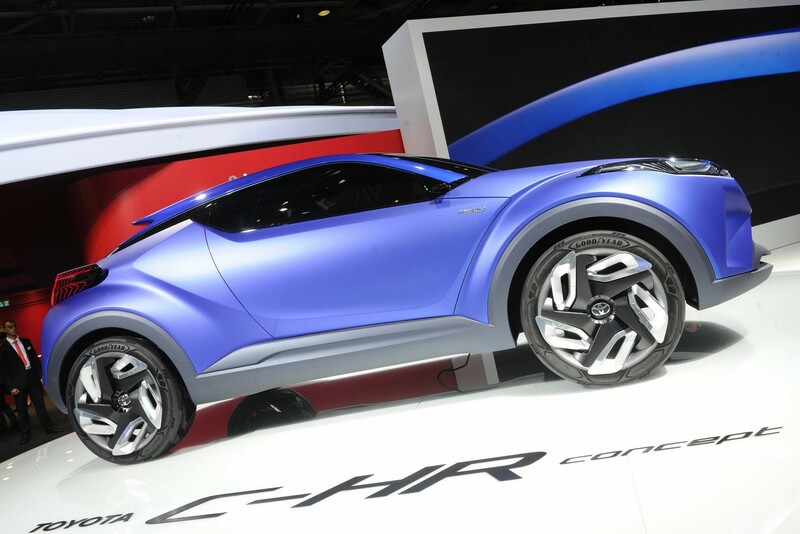 New platform and powertrain The C-HR Concept is built on a new platform and measures 4,350mm long, 1,850mm wide and 1,500mm high. 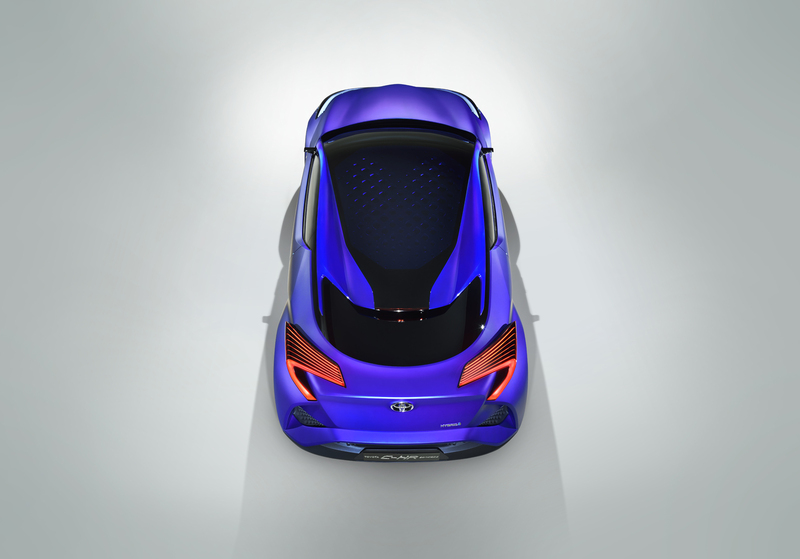 A lower centre of gravity and greater structural rigidity will contribute to much improved driving dynamics. 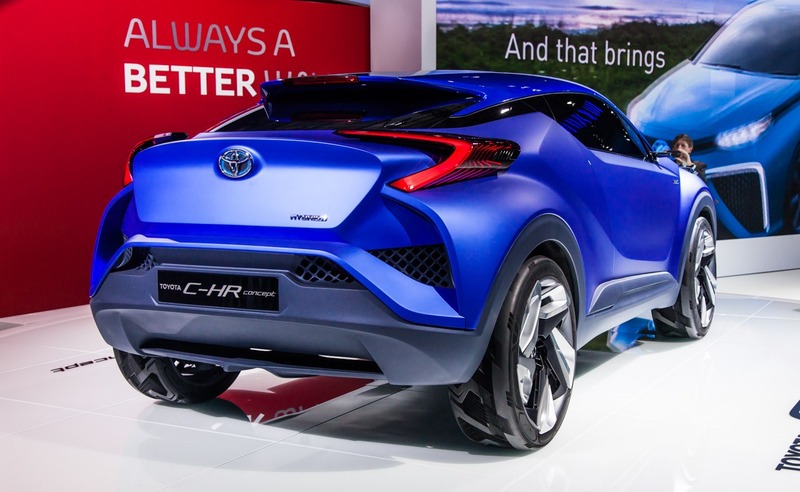 A global project rooted in the European market The C-HR Concept is another tangible manifestation of Toyota’s new Global Vision, first advocated by Akio Toyoda in 2011. 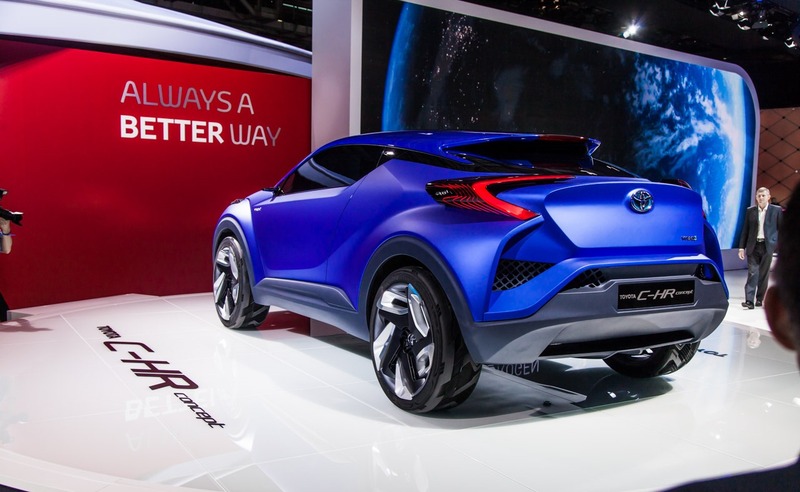 Toyota recognises that Europe is the most demanding market for small and mid-size vehicles, so uses the region as the benchmark when defining its future cars for the A, B and C-segments. 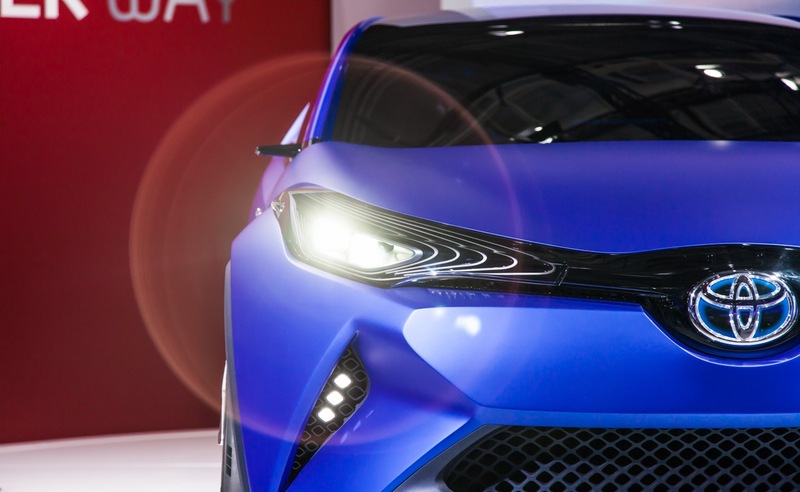 Toyota Motor Europe has also become the company’s skill centre for diesel engines, perceived quality and vehicle dynamics. 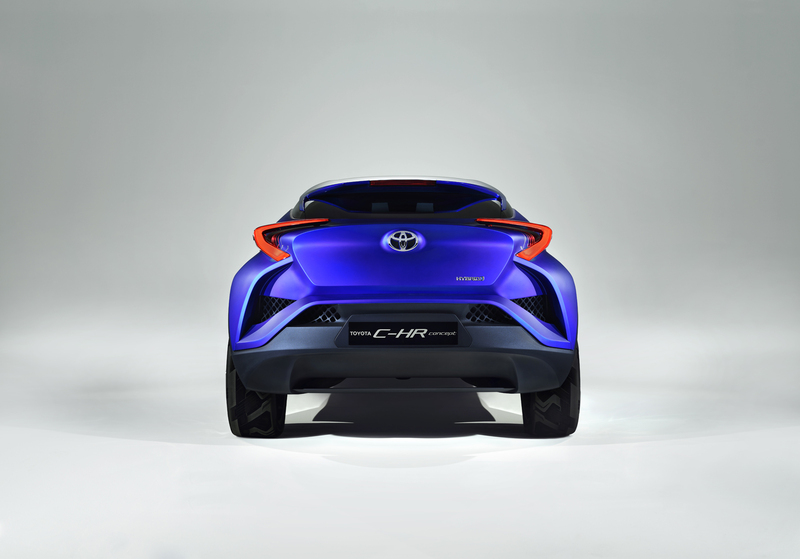 In the case of the C-HR Concept, there was close co-operation between Toyota’s product planning centres in Japan in order to gain a good understanding of the latest European customer demands and vehicle trends. 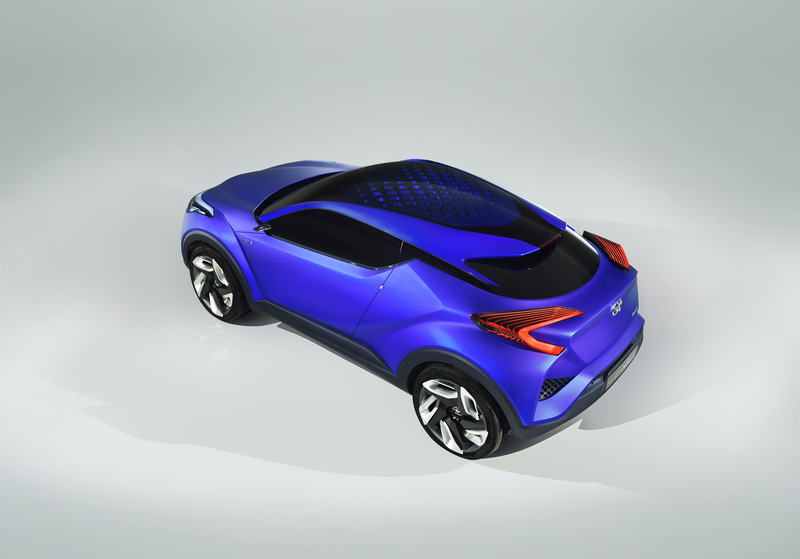 The concept’s styling is the result of co-operation between Toyota design centres, including ED2, its European design development studio. 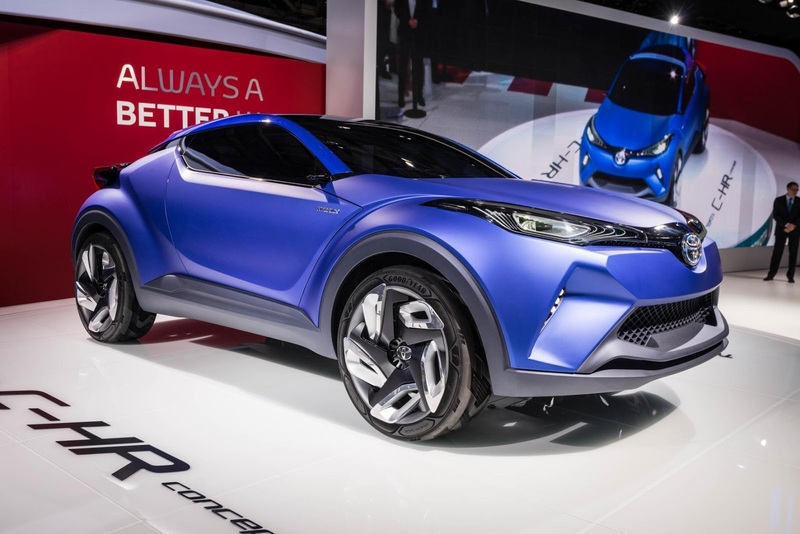 Toyota Europe will continue to work hand-in-hand with Toyota Motor Corporation in Japan to enter the C-crossover segment. 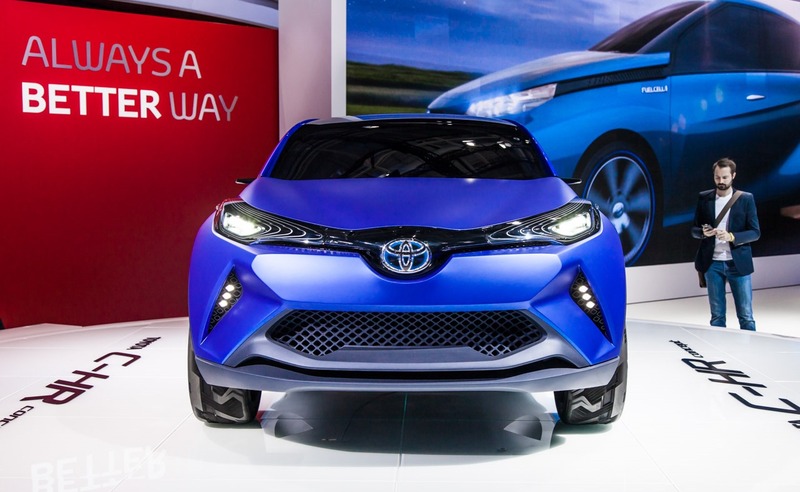 Hybrid heritage Hybrid vehicles are now widely accepted as a mainstream choice by consumers, thanks to excellent fuel and emissions efficiency that doesn’t require sacrifices in cabin space, ease of driving or comfort. 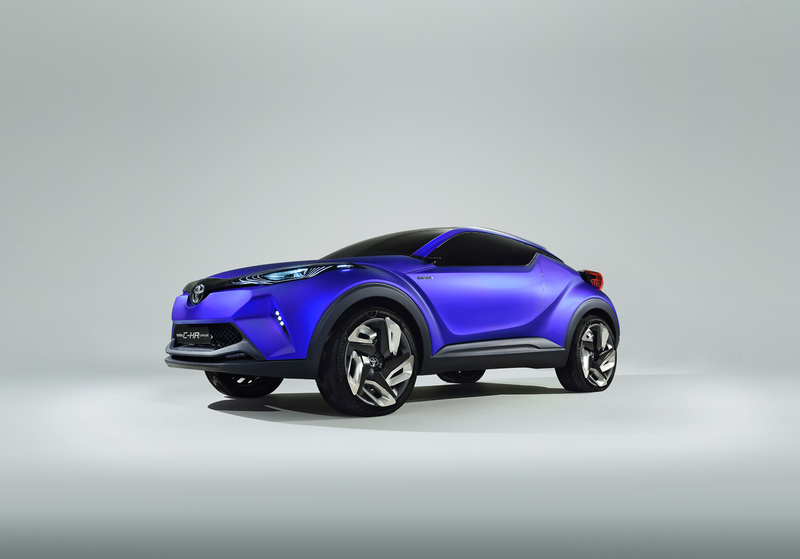 This means they can play an important role in the commercialisation of eco-cars. 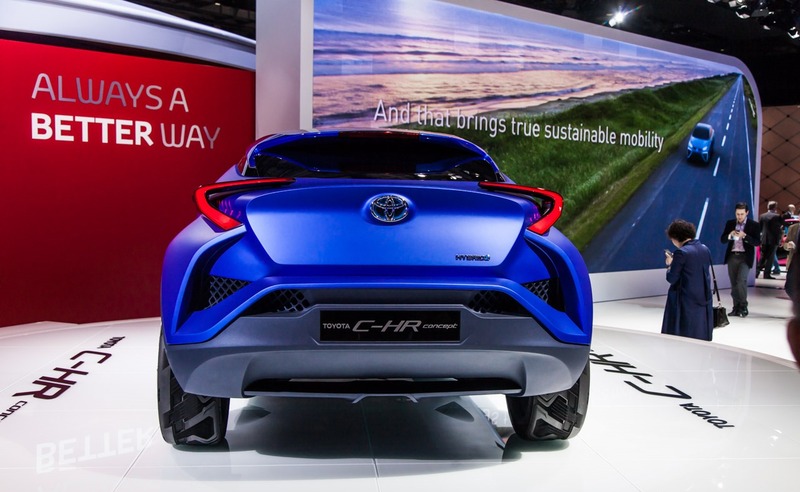 The widespread acceptance of hybrid is reflected in more than seven million cumulative sales of Toyota and Lexus hybrid vehicles since the launch of the first Prius in Japan in 1997. 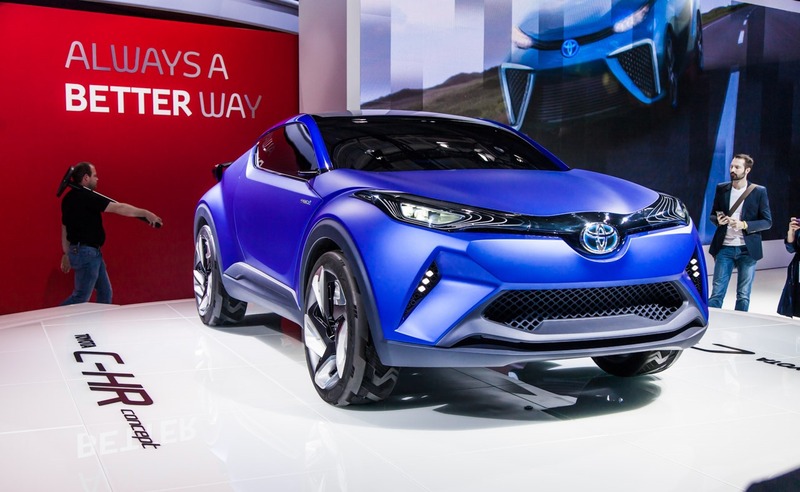 In Europe, the total has reached 780,000 since Prius went on sale here in 2000, with growth driven by the success of Yaris Hybrid and Auris Hybrid. 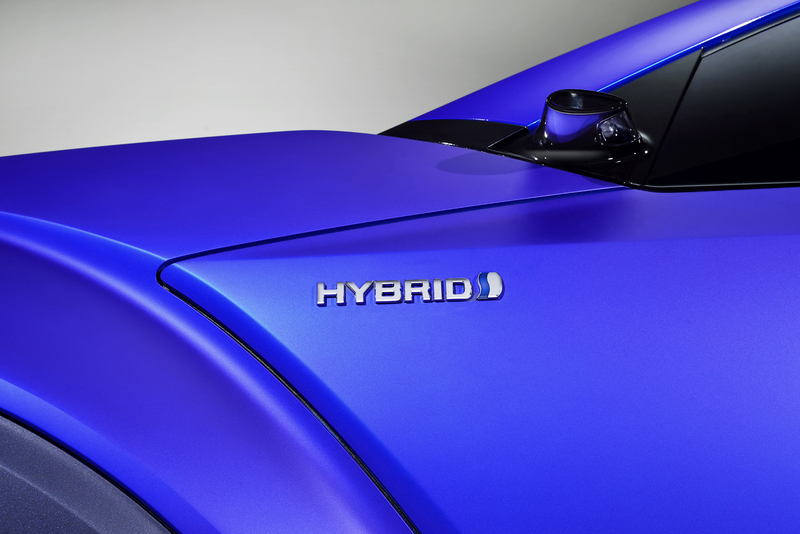 This regional figure accounts for more than 10 per cent of global hybrid sales. 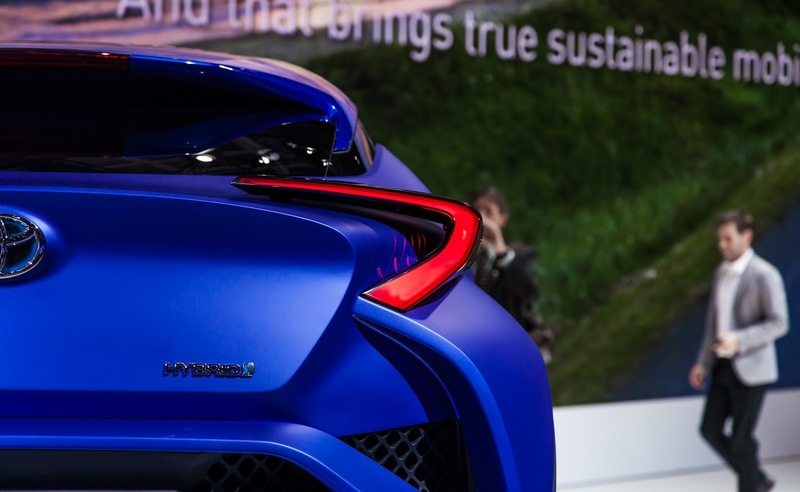 In the first eight months of 2014, Toyota and Lexus hybrid sales reached 107,000, which is 28 per cent of total Toyota group sales in western Europe. 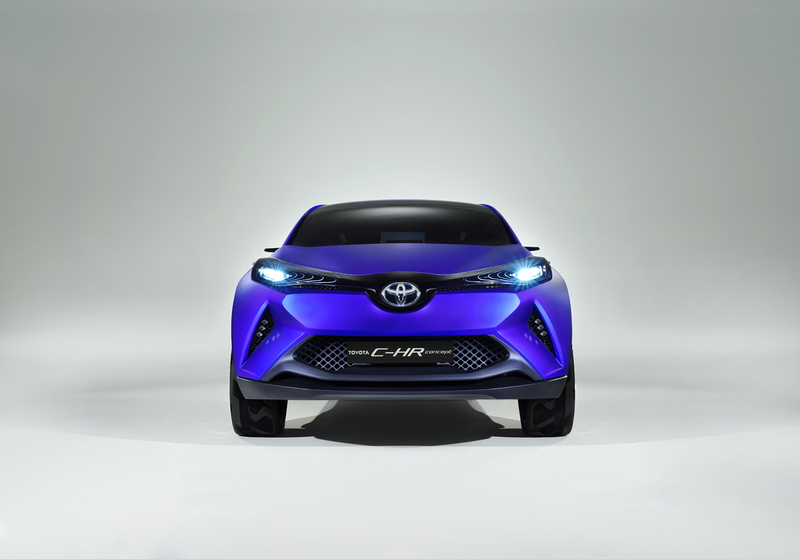 During the same period in the same area (31 countries, including the EU states, Switzerland, Norway and Iceland), Yaris achieved a 31 per cent share of hybrid sales, while hybrid versions claimed more than 50 per cent of all Auris and Auris Touring Sports sales.